Ruffles and Bow Ties: Social media overload!?!? I may age myself here in this blog post, but that's OK! Who remembers a time when the phone was hooked to the wall, you had to talk to friends quietly in the family room, behind your dad's recliner while they were watching their evening tv shows? I remember when we first got a home computer! With the printers that were so slow, and when it was finally done printing your research paper, you then had 20 more minutes of tearing each paper apart and tearing off the sides. And don't get me started with pagers and cell phones! I went through college without either! So, all this brings me to this day in age. I have a teenage daughter and we are pretty strict parents. All her friends got cell phones in middle school (um, some I know in elementary school!). We didn't get her a cell phone until 2 months before she went into high school. We monitor her usage, we take it away often because we believe true social skills are still important. But have you looked on a teens phone lately? There's text messages, text message apps, there's Facebook, Instagram, Twitter and don't for the new Snap Chat. WOW!!! My first thought is, how in the world do you keep up with all those passwords?!?! I can't keep up with any of mine!! What social medias do you currently use in your life? I use to only be on Facebook, but from some of my previous blog posts you know it bothers me! I get on for my business page, I scroll quickly though but never sit on it for hours. My new love is Instagram. I love scrolling through the photos, if I want to read I can if not I just double click and like it (I don't like every picture but you get the point). I also have Twitter. Do I ever check it, um no, in fact I forget I even have an account! (oops) The only times I jump on really is when my teen says, "hey mom did you read that tweet about..." I have not even attempted Snap Chat!! I have a personal account and business account for all those: 2 Facebook, 2 Instagram and 2 Twitter accounts. I don't post the same stuff on personal and business. So there are days that I feel like I am literally on the internet, hitting up social media all the time! Posting on the business so I can get my name out there, scrolling through what's popular so I know the newest of hashtags so I can get more views (and don't forget those likes!). All this I have learned will get my business noticed more, increasing views which in turn will increase sales. Then there's my personal life, I like to post photos of my adorable kids (really they are). We have family all over the place so I like to keep them up to speed on my kids. I like to make the occasion brag post, like all moms do. I have realized (and I am sure most people learned this way before I did) that I can post on Instagram and then hit Facebook and Twitter and it posts automatically (awesome!). However, my business Instagram is linked to my personal Facebook page, so yes all my friends are forced to see all my posts (sorry, not sorry!). Now that I have rambled on, put myself out there about being a fuddy duddy parent, complained about the work of social media, here is my question. When do we say enough is enough?! When do we start boycotting all these sites? Will Facebook ever disappear like MySpace did (who remembers MySpace!) I think about it, if I'm stressed over putting everything on Social Media, how are these preteens/teens feeling? When do they have the time to check all those apps? Isn't all this social media just adding to our kids stress levels? It sure is to mine! So tell me, what do you have? Do you think you have too many? What is your favorite social media? 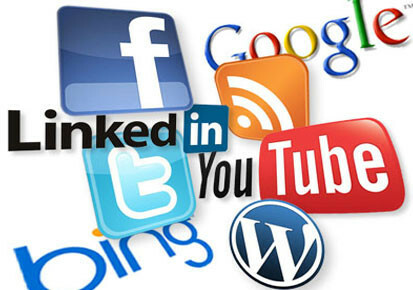 Disclaimer: I do know I am missing some social media sites: Tumblr, YouTube, Linkedin and more. I apologize to those sites!